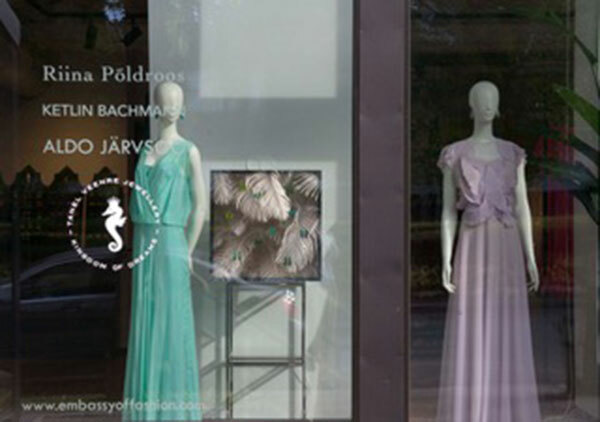 Embassy of Fashion studio shop showcases three Estonian renowned fashion designers - Aldo Järvsoo, Riina Põldroos, Ketlin Bachmann and internationally acclaimed jewellery brand Tanel Veenre Jewellery. 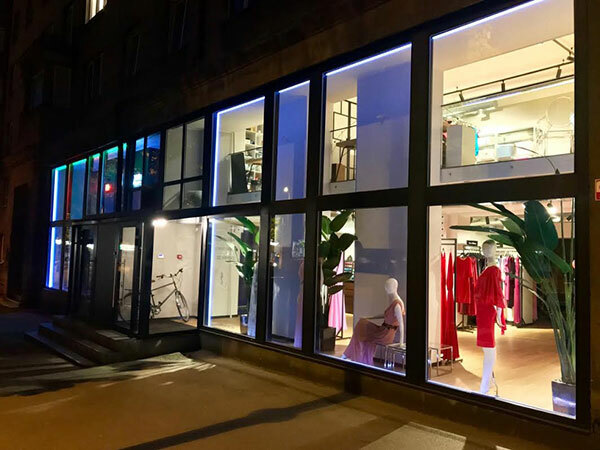 During the Tallinn Design Festival week the Embassy of Fashion studio shop transforms into the showroom of young designers. In addition to the above-mentioned, you can find and purchase new and bold designs of fashion designers Katrin Aasmaa, Jo Nurm and jewellery designers Agnes Veski, Sigrid Kuusk and Claudia Lepik.